Have you ever gotten up earlier than you’re used to, gotten dressed nice, took off and found out that it was all for nothing? Welcome to my Wednesday. I didn’t have time to sit down and write these words this morning because I was in a rush to get to nowhere. Now I’m home with a belly fully of pb&j and Free Throw’s Lavender Town blasting for the countless time. It’s angry but somehow sounds like it doesn’t want to me – a confused kid pissed at everything who needs a hug. “Slam With The Best Or Jam Like The Rest” definitely took the cake with this one. The idea was the same as the rest, but this one’s music was a little bit lighter and that caused it to stand out. The title track was heartfelt and started out strong, while “Now Kith” relied heavily on the musical elements to carry the drama from point a to point b. The reason to fall for “Pennsylvania Dutch” is because live, this one sounds like it’d be the best one executed on a stage. This one and “Slam” are the perfect bookends for this emo riddled record from the Midwest. There’s a lot to be done on my end since I didn’t come straight home and went to Target…forever spending money I don’t have. 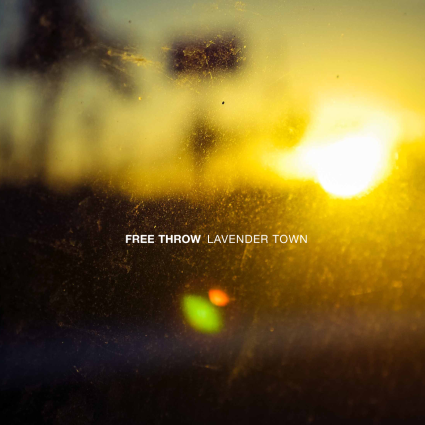 So while I get down to business, feel free to check out Free Throw if you’re already into bands like The Get Up Kids. When you fall for them, make sure to get your hands and ears on Lavender Town, out now on Count Your Lucky Stars. There’s something weighing down my thought process and for once it’s actually a positive thing. So I’m keeping distracted by doing what I’m supposed to be doing and listening to Runaway Brother’s Summer/Autumn on a loop as I paint my nails a deep purple. The cycle repeats as a couple of songs make up this EP, each great in its own way. We’ll flip it and start from the last and work our way back…I promise this won’t take long. “Xeric” lyrically all on the same point, but the music went through some changes. The first time through I thought it was a few songs, but then realized it was like three not-so-drastically different sounds stitched together. I liked the dynamics of that one, but I favorite “Summer/Autumn” just because it was as if Motion City Soundtrack popped out a kid with an indie artist. The way the words are said, the pace they take to get to where they’re going is very Motion City, while the music has this Modern Baseball aspect to it. This was a nice distraction from the weight on my mind, but I wanted a little bit more. So hey Runaway Brother, in the words of the most compelling song of the last decade…gimme more. If you like the ramblings of Motion City Soundtrack but a more demure sound in the music, check them out. Summer/Autumn drops on April 29 on Soft Speak Records, so get on it. 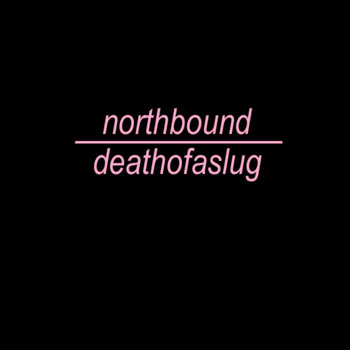 While I plan my super sweet 16 27, I have Northbound’s Death Of a Slug blasting in my apartment as I scurry about. Even as I gathered pencils and vinyl, I could feel myself getting into this emo stricken record that’s a true testament to a Jonathon Fraser’s broken heart, life and mentality. This record is straight from frazzled notebook entries at 2am, that’s not hard to tell. Oh Jonathon, you’re a mess and it makes me like you even more. “6am Been Man” is so charming yet heartbreaking, while “Leech” ironically failed to stick. If you’re looking for songs to attach yourself to that express that feeling of “FML” then “Actor” and “Everyone But Me” are your new favorite things in life. It takes balls to lay it all out there like this and it’s much appreciated. If you like music that has a sensitive side but isn’t whiny about it, and is done in a little acoustic punk fashion – then Northbound is for you. Now I’m off to gather more props, so while I’m out, check out Death Of a Slug, out now.